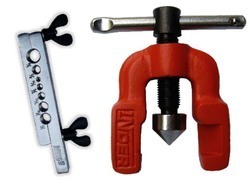 Offering you a complete choice of products which include inder hydraulic crimping plier 255a, inder soft head mallet hammer 85a, special tool kit, t bar clamp, flaring tool and flaring & swaging tool set. 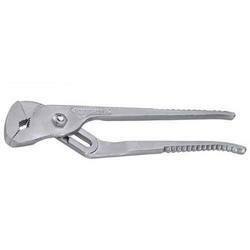 Our firm is involved in manufacturing and supplying a huge range of Inder Hydraulic Crimping Plier 255A. We design the given product following industrial standards by making use of best quality material and modern technology. 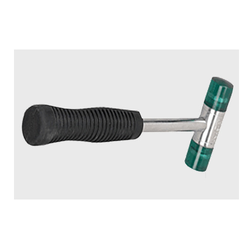 Our firm is involved in manufacturing and supplying a huge range of Inder Soft Head Mallet Hammer 85A. We design the given product following industrial standards by making use of best quality material and modern technology. Backed with know-how and comprehension in this domain, we are counted amongst the foremost company in this industry and offering quality assured range of Special Tool Kit. 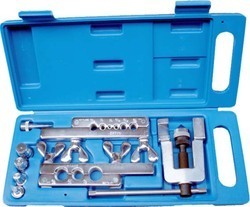 This Special Tool Kit are precisely made at highly developed production unit by making use of superior quality material and advanced machines in compliance with the industrial quality norms. To meet the requirements of our precious patrons, we offer this product in customized packaging and deliver the same in committed time frame. We provide this product at huge number of satisfied clients at affordable prices. We are engaged in providing a wide range of T Bar Clamp. The Slides operate on dimensionally accurate T edges ensuring an easy, sliding movement. Head and slides robustly designed to match the bar strength. We are engaged in providing a wide range of Flaring Tool basically meant for soft pipe viz. Copper, Aluminium, Brass tubing. It gives uniform & smooth flairs with minor force, even on large diameter of the tubing. Its hardened steel flaring cone, gives uniform flare walls 45o , Sizes of tubing holes clearly marked on the bar & it cover 7 sizes of flares. We are engaged in providing a wide range of Flaring & Swaging Tool Set the best selling product in refrigeration repair workshop. It is meant for soft pipe viz. Copper, Aluminium, Brass tubing. It gives uniform & smooth flairs with minor force, even on large diameter of the tubing. Its hardened steel flaring cone, given uniform flare walls 45o angle. availed in diverse designs, sizes and other related stipulations. A team of expert professionals manufactures these products using high grade raw material and other required components at well equipped manufacturing unit. 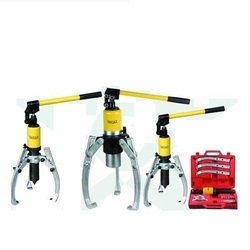 Moreover, this range of Hydraulic Cable Cutter is available at industry leading prices. We are the leading manufacturers and suppliers of the Hydraulic Gear Puller. 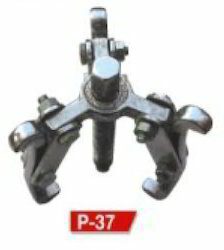 We are offering a wide range of G Clamp Heavy Duty to our valuable clients. Drop Handle and swivel shoe is suitable for both wood and metalworking applications, Gripping Point having the correct angle for perfect clamping.